Bali has multifarious of cultures and beautiful landscapes that make it as a magnet of tourism to captivate tourists to come to this island. There are many cultures and local social life not been exposed yet especially the cultures from the countryside in north part of Bali namely Les Village which is located in Tejakula District and Singaraja regency. Les Village is an old traditional village that has many changed from the name which previously named by Panjingan and change into Hyang Widhi (Yangudi) and then finally changed into Les Village. This village has many unique cultures that believed there will be not found at other regions in this world. There is a unique culture that you need to know in particular of the celebration day after of Nyepi Day which is called Ngembak Geni Day on this year dated 31 March 2014. What the celebration in Les Village? Balinese people know the Ngembak Geni Day which is derived from two words those are Ngembak means free and Geni means fire. So Ngembak Geni is etymologically means free of fire and can be interpreted that one day after the Hindu people has successfully conducted the Catur Brata Penyepian to commemorate the New Year of Caka with leisure/relaxation. Balinese people are usually go for vacation and visit the tourist destination for relaxation and spend the holidays but there is different with the local people in Les Village did. The villagers located in east part of Singaraja have their own tradition to commemorate the New Year of Caka. 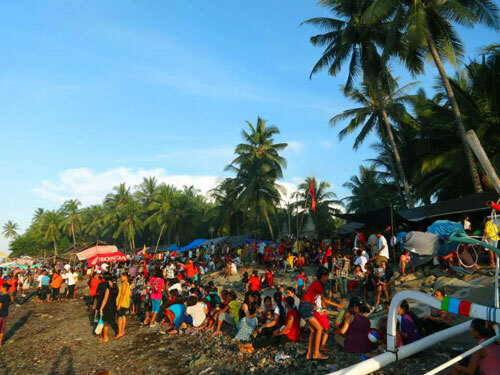 The villagers will go to the beach especially Panyumbahan Beach as center point of the celebration. 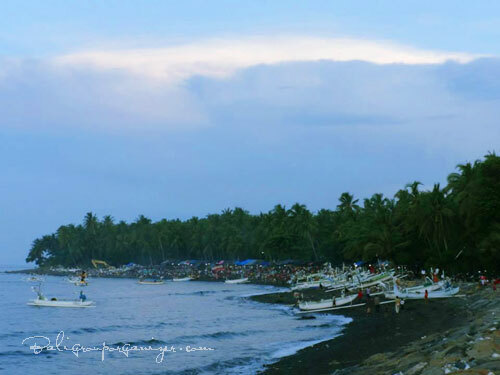 Panyumbahan Beach is usually empty of tourist activities but on this day was changed into hilarious traditional night market and full of food and drink stalls and traditional games which are mostly gambling. All people caught up in the festive atmosphere of the event and last for 2 days.